Desperate for some scrap of EVE Online clothing to wear I googled around and found this website called www.8bitthis.com with a few shirts that seemed reasonably priced and looked not too bad. 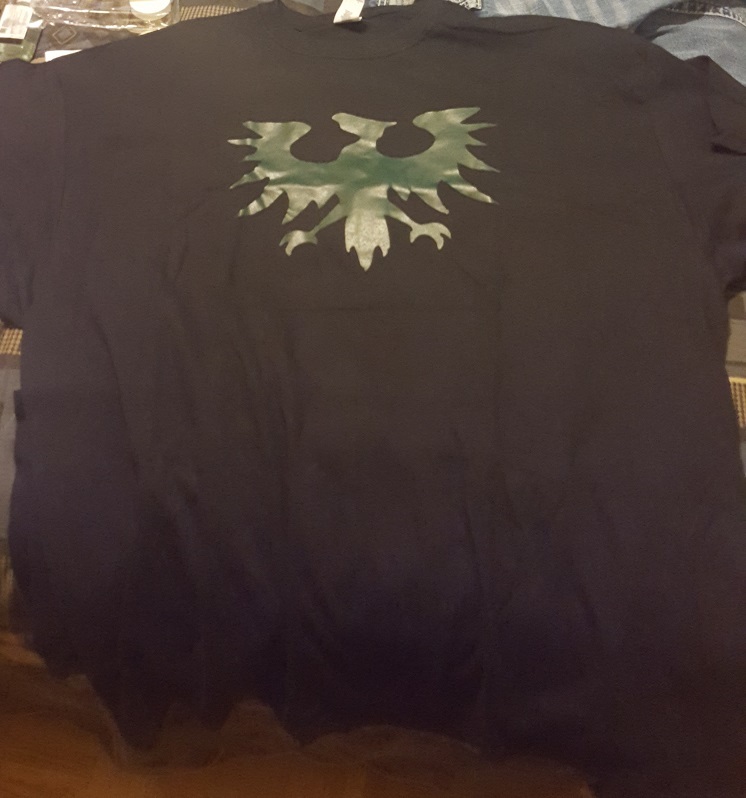 I ordered a Gallente Federation shirt and EVE ONLINE shirt that combined with online specials only came to ~24 dollars total. 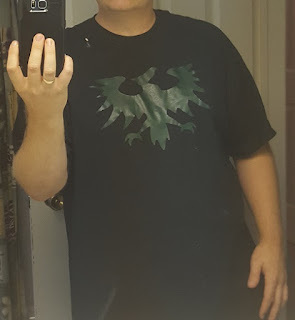 They are 100% cotton and you can tell the thread count is not high, but they don't feel like they will disintegrate in the wash and should last me quite a while. 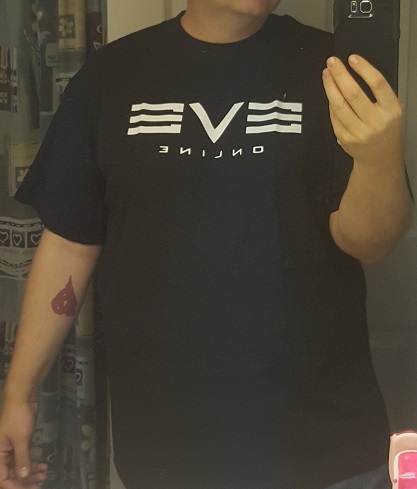 Finally I have something to wear to show my support for the Federation! For the record, I'm still pissed the CSM minutes rickrolled me with a tease about a new EVE Store. CCP - Created an incredibly complex game that runs on a mighty server array and serves a world-wide audience; can't figure out how to reliably sell things over the internet. Absolutely agree. 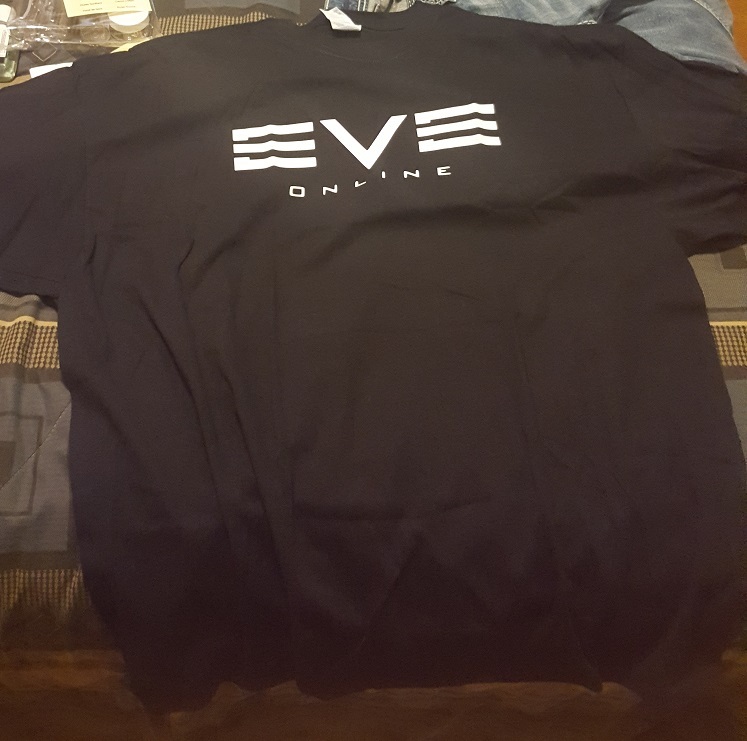 Why did they start the store with in-jokes like "Death to supers" and Lacrimix (agreed - never heard that term) and miss out on having a bog standard "Eve Online" logo on a black tshirt?